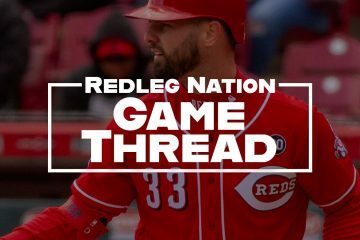 Jesse Winker is one of the top prospects in the Reds system, a young outfielder who has opened eyes with his superb bat and maturity at the plate. 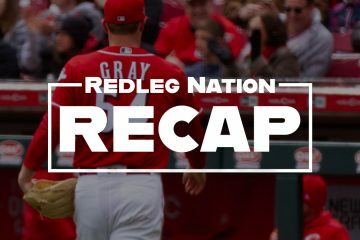 In the latest edition of Redleg Nation Radio, Jesse sat down with Bill Lack to talk about his career and life in the Reds minor leagues. Many thanks to Friend of the Nation — and huge Reds fan — Freekbass for the bumper music. The music is from this album; he’s a talented guy, and highly recommended. Color me impressed. I look forward to seeing what he does this year. The Old Cossack’s computer acts much older than even the Old Cossack, so getting through streaming video and audio feeds can be a challenge. This was an interview I REALLY wanted to hear but it took me three days to finally get audio feed to work without floundering in some confounded perpetual buffering loop. A sincere thanks from the Old Cossack to Chad and Bill for another superb interview. Winker is a baseball junkie and a baseball stud. Anyone who enjoys the minor league bus rides just because they get to play the game every day has found their niche. The kid has his head screwed on straight and his focus honed in on his goals. He is trully living the dream. I hope that Jesse can get through Bakersfield and Pensacola this season and get back to the midwest in Louisville to start the 2015 season so the Old Cossack has a chance to watch him play again before reaching GABP. I’m not sure that the Reds can (or should) extend Bruce. Bruce is under team control through 2017 (his age 30 season). Power hitters traditionally do not age well and an extention for Bruce beginning with his age 31 season will be expensive. 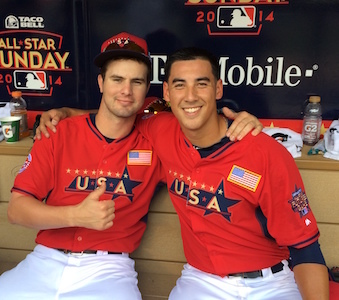 With Winker, Ervin and Rodriguez all on schedule to approach major league readiness over the next three years (not to mention Hamilton), the economics of MLB and small market teams may not bode well for a Bruce extention.